The upcoming North American International Auto Show (NAIAS) in Detroit will pack a heavy dose of new Honda products. In addition to the resurrected NSX, 2013 RDX and ILX concept from its Acura division, the Japanese automaker will unveil the new 2013 Honda Accord Coupe concept. Details remain scarce for now, but we know that the car will benefit from the next generation of Honda powertrains when it hits the road next fall. A 3.5L V6 engine featuring direct injection and new VTEC variable valve timing setup will sit under the hood along with a continuously variable transmission (CVT) and start/stop system. 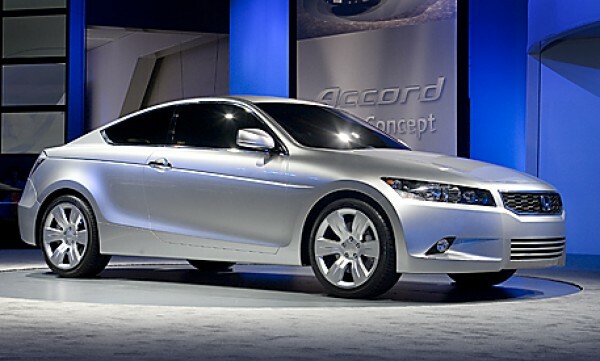 Consequently, the 2013 Honda Accord Coupe is expected to deliver 5% more power and 10% more fuel economy. Charlie Sheen, dead and buried in the 'Two and A Half Men' season premiere? new honda concept CR-Z love it or hate it?